Adaptation is a process of socio-institutional learning We see adaptation a process of socio-institutional learning relevant for specific contexts, and producing adaptation outcomes and processes that are robust against a wide range of future situations. It recognizes often competing stakeholder goals and processes and uses information at various levels and in many ways. Adaptation is not simply a reduction in future vulnerability as a scientific or technical forecast. Information and approaches relevant to adaptation are evolving all the time, so we need an iterative approach to adaptation where we act, learn and then take a further decision based on the best available information. 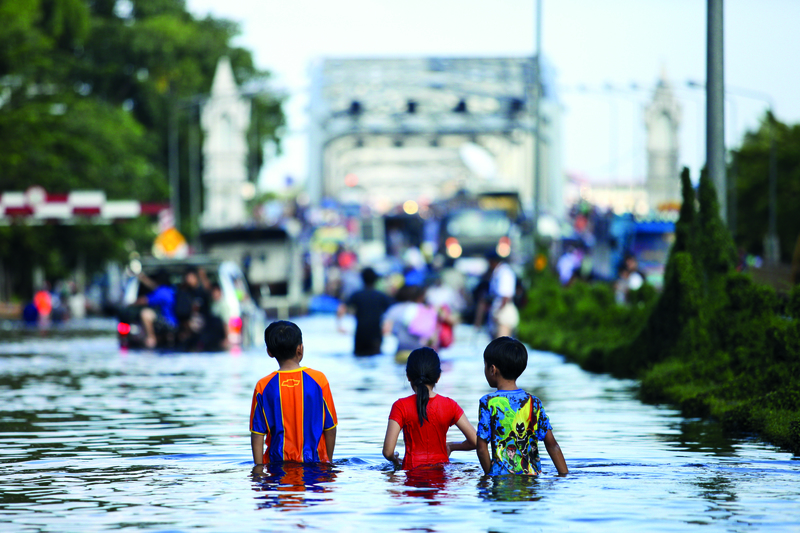 Adaptation decisions depend on the context - both environmental and social Adaptation will not work as a set of generic solutions but must be grounded in the local environmental, climatic, social and political realities. Different groups have differing and even competing goals and needs so even in one location strategies may have to be nuanced in order to assist different groups. The perspectives of the stakeholders involved in the decision process is vital in determining appropriate adaptation strategies. Information needs to be 'good enough' to make a decision - we do not, and cannot know every last detail. The value of information is in making a decision (on adaptive strategies and measures). In contrast, other approaches, such as risk assessment, scenario development and decision evaluation, require assembling considerable information that is presumed to be useful to decision makers. Often the outcome of an adaptation project is seen as this information rather than as a catalyst to changes in the behaviour of targeted actors (from awareness to action). The key is what information is needed in order to make an informed decision, not having all possible information available. In real world situations we rarely have all of the information we would like, but if we have 'enough' we can make a good decision. Uncertainty in future conditions needs to be taken into account, but does not mean we cannot act now! We do not know the exact ways the climate will change, particularly at a local level. We do not know what the social, economic and political situation will look like in 10, 20 or 50 years time. We can however take the information we do have (including trends and variability) and construct adaptation strategies and measures that include this uncertainty but are likely to be beneficial independent of a particular scenario of change. Adaptation strategies need to be robust against a wide range of possible future scenarios (both climatic and socio-economic) Basing adaptation strategies on one single scenario of the future could easily lead to Maladaptation as we cannot be certain of future conditions. 'Robust' in this context means strategies that will be beneficial under a range of possible scenarios for the future, rather than being reliant on certain conditions occurring. Tools are a means of getting to a solution, they do not provide all the answers themselves! weADAPT as a platform provides the basis for an approach to understanding adaptation, and methods and approaches that help to think about the problem at hand and make decisions based on the best available knowledge. It will not 'tell you what to do', nor will it solve all your problems! Tools should never be used to replace thought and reflection on the problem. Motto: Every tool is good for something, no tool is good for everything! Adaptation strategies should address present needs, while at the same time building capacity to deal with future change. Current problems will always be perceived as more important than potential future problems, so if we do not start by addressing immediate needs adaptation strategies are unlikely to be given priority. In many cases current problems are undermining the ability to cope with changes in climate, so if they are not addressed it will be very difficult to deal with the large negative effects climate change is likely to bring. Using multiple methods to address a problem is likely to give more robust results than relying on one sole method. In most situations there is no single tool or method that is empirically 'the best' - each has its advantages and disadvantages. In using multiple methods we can compare whether they give similar information/priorities and better judge ways of addressing a problem. Relying on one method may constrain the action that we take, as certain relevant information may not be included or we may make a misleading interpretation. Enduring partnerships are essential for building adaptive capacity. Enduring partnerships, between experts and practitioners, multiple stakeholders and across scales, are essential for building adaptive capacity over the time scales required by climate change. Such partnerships rest on shared purpose, principles and vision, and fairness and trust in working together. Capacity-building must be a process rather than a one-off 'event', and this requires trust, strong relationships and long-term commitment. Real capacity is built by using and applying knowledge and skills gained in everyday work, and then learning from this. Capacity-building thus requires not only training workshops, but also partnerships and collaborative working. 2-way dialogues are the basis of building consensus, partnerships and the exchange of useful information for decision-making. It is only through prolonged dialogue where both parties respect and learn from each other that trust is built and true collaboration can begin. Adaptation should not be about 'experts' pushing pre-packaged information to users, but rather about learning each other's needs and being able to exchange information that is useful for decision-making. This is the basis of a social learning approach. Presentation on the principles given in Bangkok as part of a regional training workshop in October 2009: weADAPT Principles.